The general idea is what would result if rice krispy treats and peanut butter made a healthy baby together. Nothing could be more right. 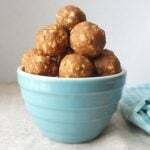 These puffed kamut balls are crunchy, peanut-buttery, and bite-sized — perfect for packing in lunches or satisfying a sweet tooth. They’re also easier to make than rice krispy treats since they don’t include the always-scary step of combining melted marshmallow with rice krispies. Kamut is a low-gluten grain that is an ancient form of wheat. It is in a similar class as bulgur, semolina, and spelt. We used kamut because we couldn’t find another type of puffed grain but it could easily be swapped out for puffed quinoa, rice, or millet. 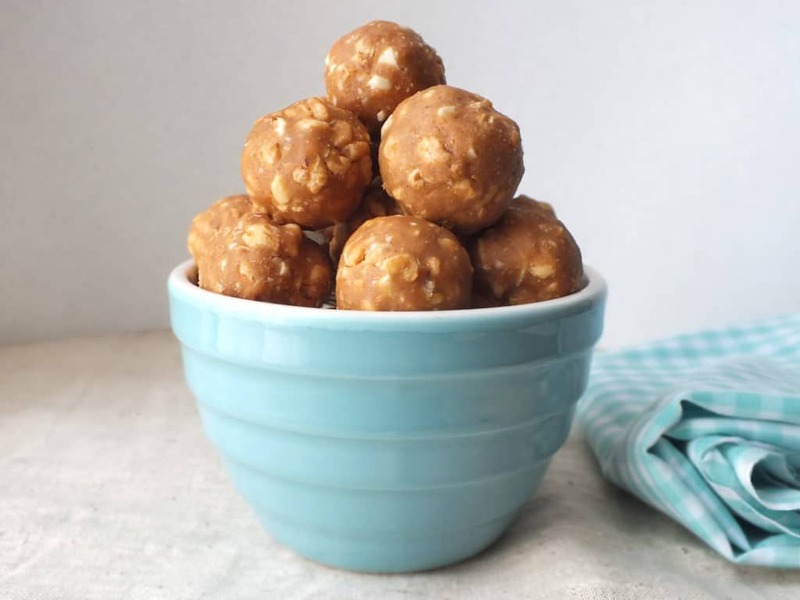 Almond butter could replace peanut butter for anyone with an allergy, just be sure to avoid overly-oily brands as they won’t bind the balls together very well. Measure 1 cup of puffed kamut and break it into smaller pieces by A) chopping it roughly with a large knife, B) putting it into a ziplock and smashing it with a hard object, or C) grinding it up mortar-and-pestle-style in a bowl. 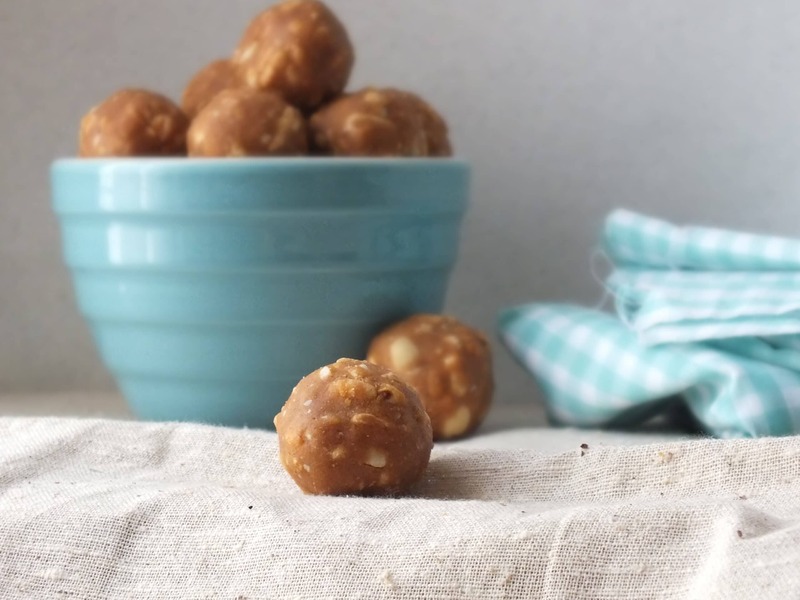 In a medium bowl, mix together peanut butter, agave or honey, and vanilla. 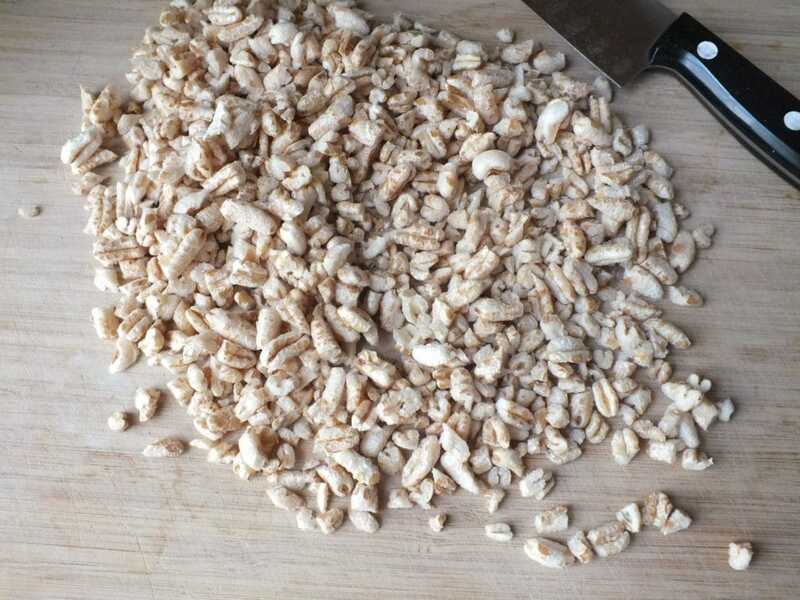 Add puffed kamut and chopped cashews and stir it all together. It will seem crumbly and dry, but once you start to form the balls, it will all smoosh [highly scientific term, right?] together nicely. Refrigerate the mixture for 10-15 minutes. Then remove from the fridge and start rolling the mixture into balls. You should end up with around 12. Store in the fridge until you gobble up the last one. 1. 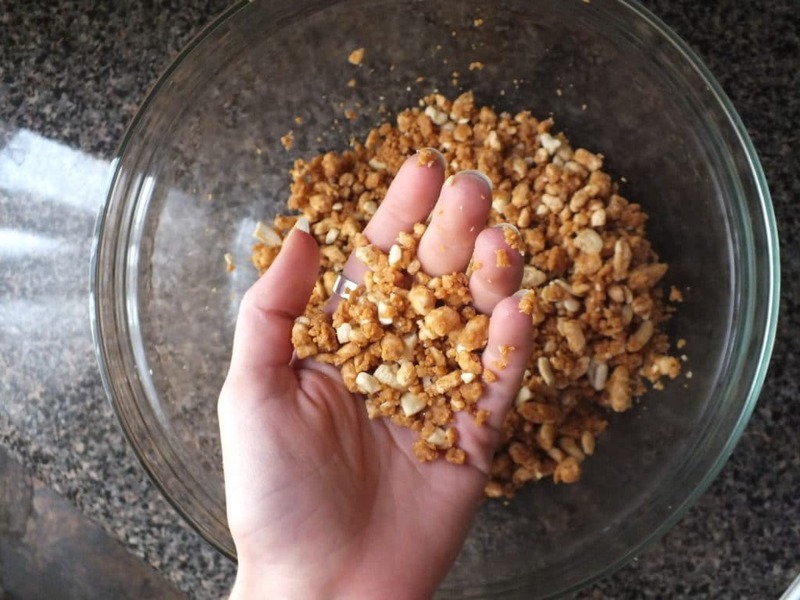 Measure 1 cup of puffed kamut and break it into smaller pieces by A) chopping it roughly with a large knife, B) putting it into a ziplock and smashing it with a hard object, or C) grinding it up mortar-and-pestle-style in a bowl. 2. 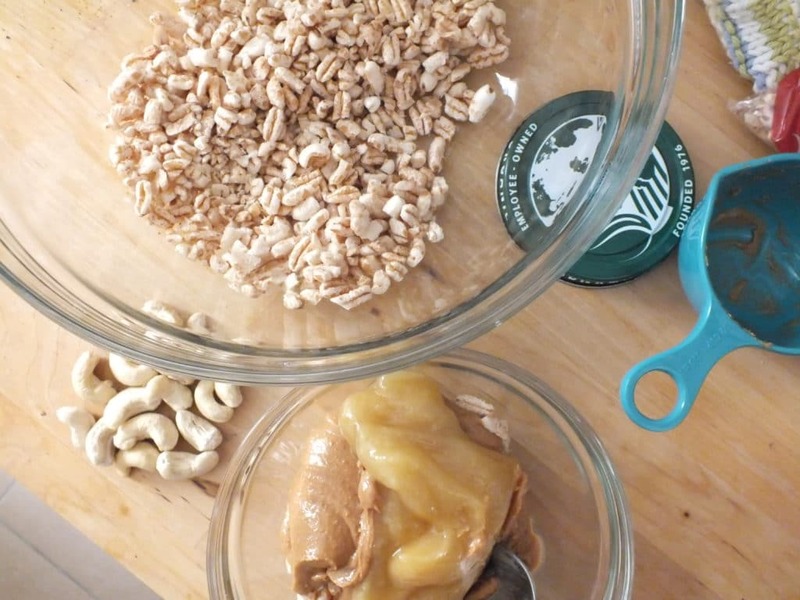 In a medium bowl, mix together peanut butter, agave or honey, and vanilla. 3. Add puffed kamut and chopped cashews and stir it all together. It will seem crumbly and dry, but once you start to form the balls, it will all smoosh together nicely. 4. Refrigerate the mixture for 10-15 minutes. Then remove from the fridge and start rolling the mixture into balls. You should end up with around 12.